Cappa Regime is a creative collective composed of Jake Kasheta, Shane Sherzai, Richard Nash (Rykr), Rob Enea (Erratic), and Charlie Doughan. With complementary production skills and a mastery of instruments ranging from piano to drums to guitar, they are endeavoring to break out of the "banger" soundscape that EDM has constructed for itself. In the studio, they aren't confined to a single genre, and channel influences as disparate as The Isley Brothers and E­40. They produce melodic, expectation ­defying tracks to keep bodies moving and fresh minds blown. 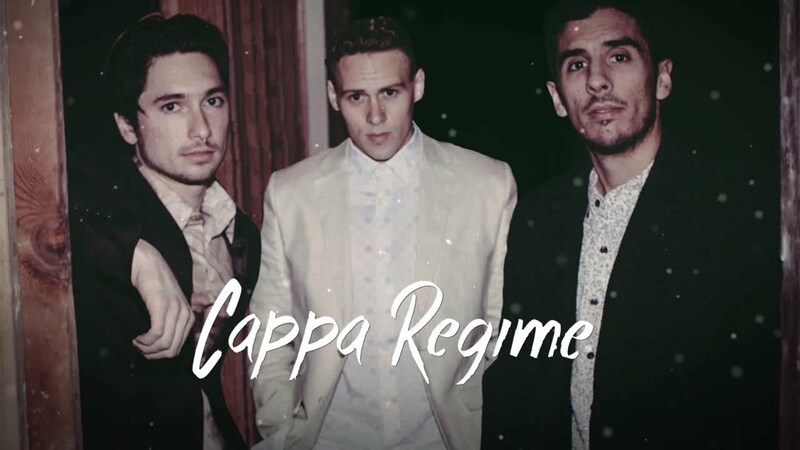 This year, Cappa Regime played a West Coast tour culminating in a play at Coachella, and were also chosen to play at EDC Las Vegas and Beyond Wonderland. Their live show is an energetic amalgamation of many dance genres; they integrate urban, vintage, and modern electronic dance elements throughout, so it has something for everyone. Their most recent remix of James Egbert’s Exit Wounds was endorsed by the artist, and hailed as “brilliant” by EDM.com. They also just released a 2 track EP with Play Me Records. Constantly creating new content, they plan on releasing collaborations with Nina Sung and Del The Funky Homosapien (one of his first electronic collaborations since his work with Gorillaz) in spring of 2014.